Get in touch with US @ Here Come the Girls c/o Project_Twelve:31. We have spaces starting on Thursday 11 January 2018. 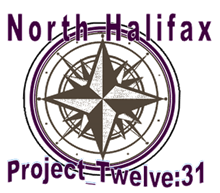 If you are girl aged between 12 and 18 years of age and you live in the North Halifax area and are looking for something different and exciting to do in 2018 then join Project_Twelve:31 on Thursday evenings at Ovenden Four Fields at OSCA, Ovenden. Call 0300 555 0266 and ask for Karen or email Karen.Scanlon@calderdale.gov.uk to find out more.